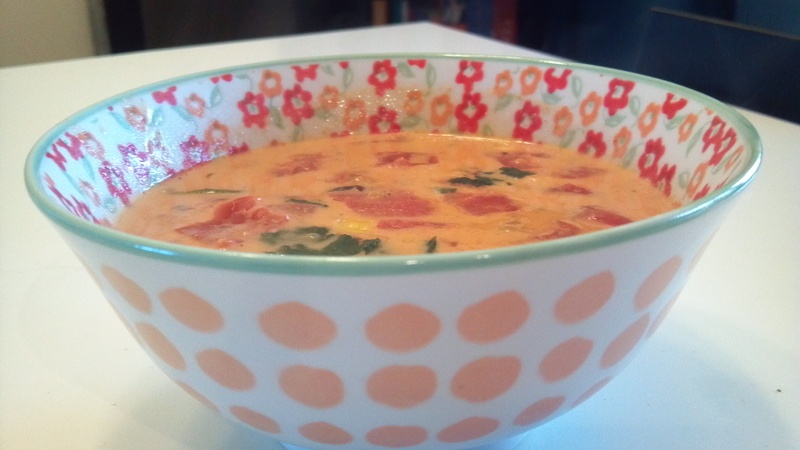 Ever since I made the Coconut Thai Vegetable Soup a few weeks ago I have been wanting coconut milk in everything. The other night I was thinking about black bean soup and my brain drifted to adding coconut milk to it. At first I shoved it away, but the next morning I thought of it again. And I knew I had to try it. This soup is heavy on the tomatoes, but you could scale them back, or leave them out completely. It also leaves a ton of room for adaptations so feel free to use this recipe as simply a guide. One thing I always do when making black bean soup is to blend a portion of the black beans before adding them to the rest of the soup ingredients. This prevents you from having to scoop piping hot soup into the blender. Blending black beans give the soup a hearty creamy taste. So..here it is.. I think this soup will go to work with me and be my dinner this week long hours this week.. UPDATE: Tuesday: Uhm. I ate three bowls of this yesterday. Oh WOW. Amazing. I included this recipe in Ricki Heller’s Recipe Roundup. Click here for other awesome recipes!